Dr. Ruben J Lopez, MD is a Doctor primarily located in Port Orange, FL. His specialties include Pediatrics and Legal Medicine. He speaks English. Dr. Lopez has received 3 awards. The overall average patient rating of Dr. Ruben J Lopez is Great. Dr. Ruben J Lopez has been rated by 60 patients. From those 60 patients 25 of those left a comment along with their rating. The overall rating for Dr. Ruben J Lopez is 3.8 of 5.0 stars. I wish there were all zeros to give this so called "pediatrician". He clearly has no idea what HIPA is. Besides him personally giving out information about you to other patients, he has misdiagnosed my child more then once. Never gave my child a proper exam to try and diagnose what my child actually had. Basically told me to go to the ER. Called numerous times, no one calls you back. His staff is also rude, and unhelpful. He did NOT care for my child, so I will assure you, he will NOT care about yours either. READ ALL OF HIS REVIEWS!!! LOVE LOVE DR LOPEZ AND HIS WHOLE STAFF! VERY PERSONAL AND CARING! 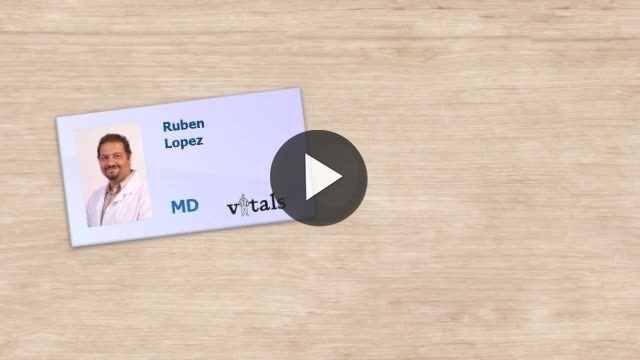 Take a minute to learn about Dr. Ruben J Lopez, MD - Legal Medicine in Port Orange, FL, in this video.